As much as I enjoy socializing over a drink or two, I just can't handle all that booziness anymore. Blame it on my old-age and diminishing capacity ( all pun intended )- gone are the days when I could chug shot after shots. Now it's just a glass or two of wine, and I am one happy social being. Having said that, how much of the same drink can one have??? Wine is surely my kind of drink, but I try venturing out newer varieties and mixes. For instance one of my favorite wine cocktails is Sangria. 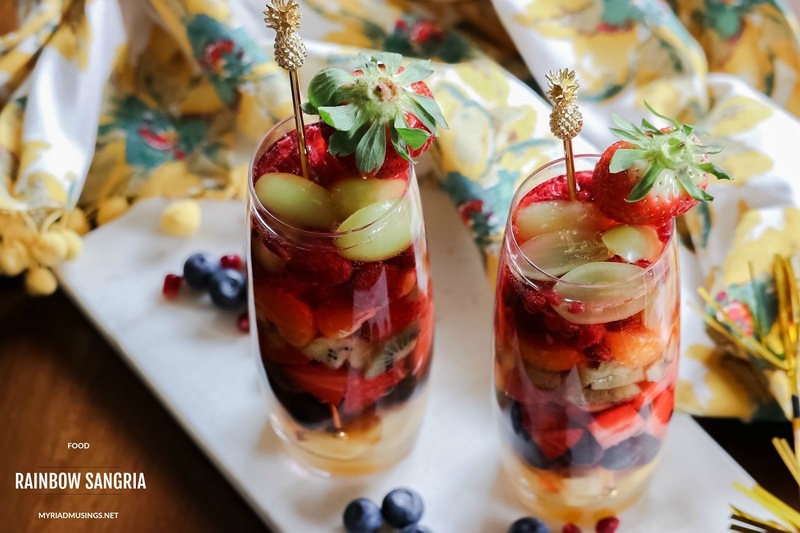 Usually made with red wine and a mix of fruits, Sangria is a feminine drink with sweeter, fruitier notes in its entirety. I won't deny that Red Wine Sangria is out if the world, but the one that I am sharing below is no less, especially when it is dedicated to all my Friends and Family celebrating HOLI back home. 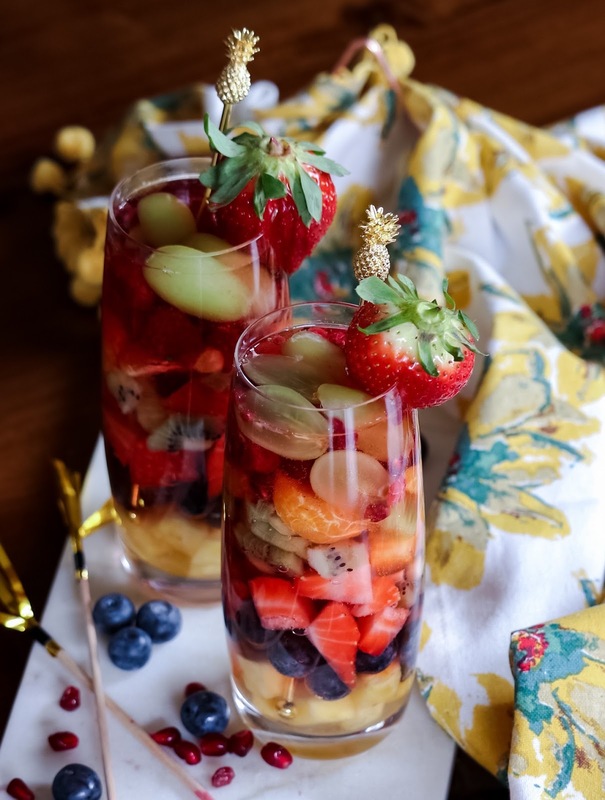 Made with lots of boozy love and white wine over layers of rainbow-colored fruits, this drink makes an ideal drink for the festival of colors- HOLI! 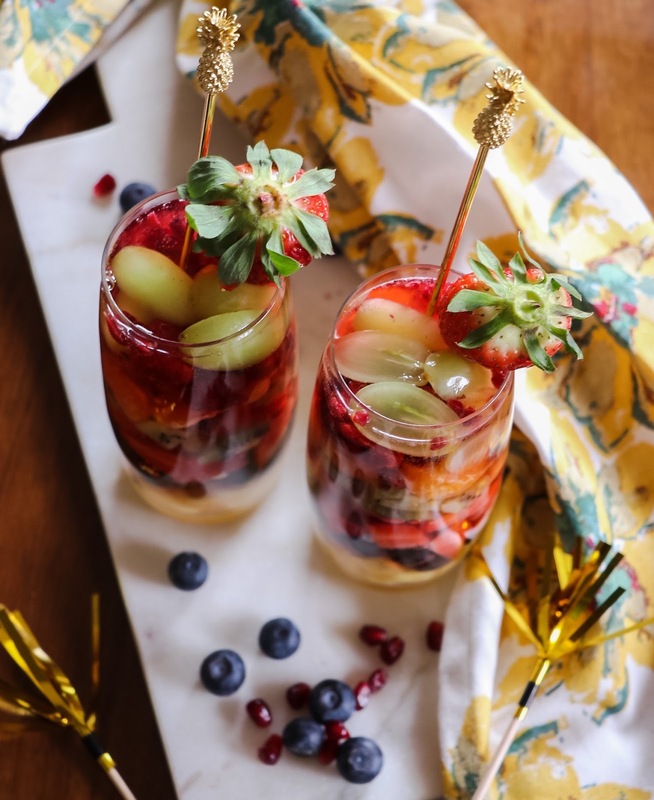 Since I am using some unconventional fruits, I made mine with White Wine, but you could totally stick to the traditional recipe and make it with Red wine. TIP: When using red wine, add a tsp of cinnamon powder. It pairs awesomely with red wine. 1) In a pitcher mix together the wine, ginger ale, and sugar. 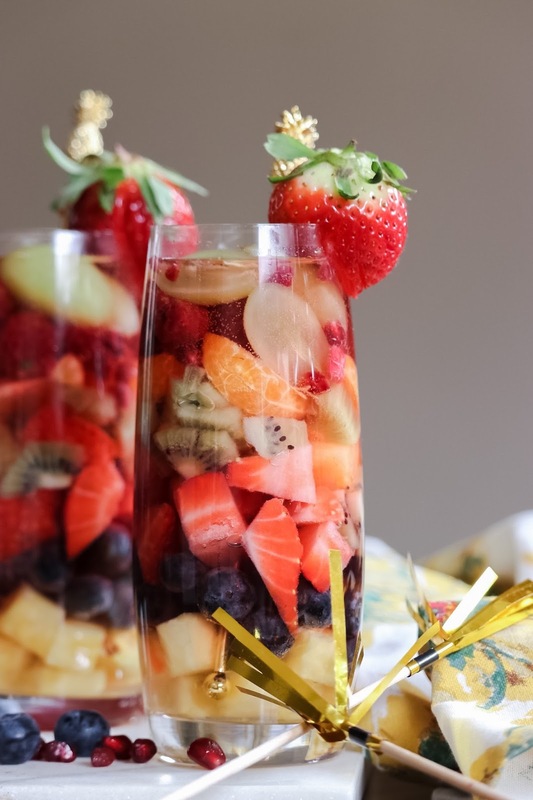 2) Layer the fruits as per your preference in a tall glass or wine goblet. You could muddle your fruits, but I like mine chunky and prefer scooping out my spiked fruits. 3) Gently pour the wine mixture over the fruits. 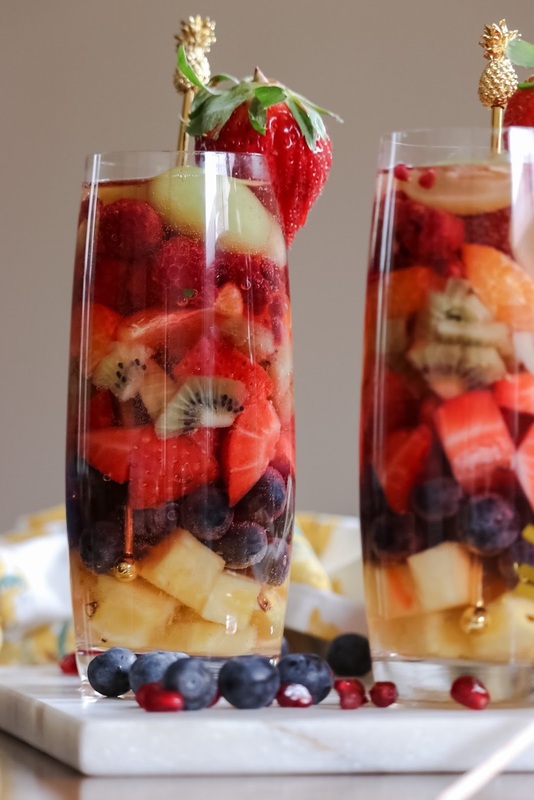 4) Chill this for 15-20 minutes, this will allow the fruity flavor to infuse into the wine mix. 5) Garnish with a fruit of your choosing. Hope you like my HOLI-SPECIAL rainbow-colored Sangria!!! !